Whether shuffling from car to chairlift or slogging in the frozen woods, a good pair of boots is requisite footwear for surviving winter and fall. To give you a jump-start on the season, we’ve kicked the rubber on a few soles to find the best winter boots for the big freeze. Because winter varies so much around the country, from slush and mud to deep powder, we included a variety of boots from puddle-worthy to hell freezing over. 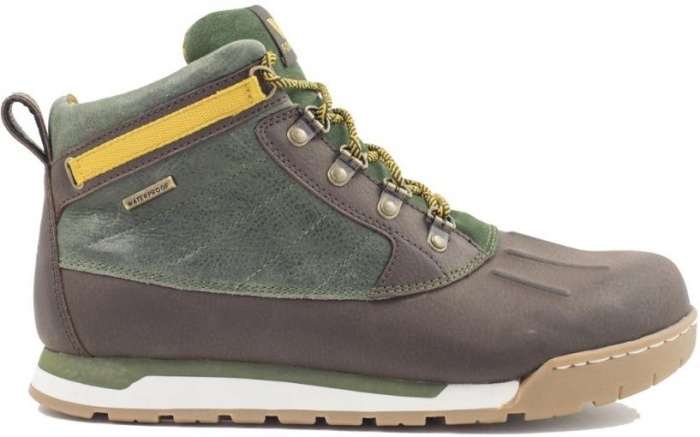 Below, we break the article into five sections: how to choose a winter boot, favorite winter hiking boots, stylish winter boots for men, winter rain boots, and, finally, best snow boots. Which boot height is best? The main considerations with height are ankle articulation, keeping snow out, and comfort. 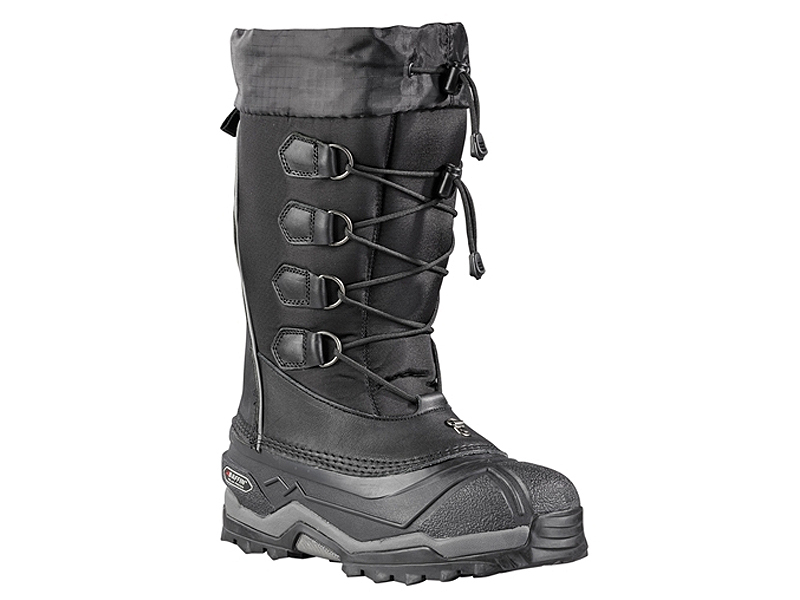 If you regularly get out in deep snow and want a lot of support, choose a taller boot. Now that we know what you’re looking for, we can move onto boot selection. Below, you’ll find boots separated into four categories: winter hiking boots, stylish winter boots, winter rain boots, and snow boots. Of course, some boots could belong in more than one category, and this list doesn’t cover every boot out there but is quite comprehensive. Bundle up with the proper gear, and you’ll find getting the mountain all to yourself in winter is worth the preparation. 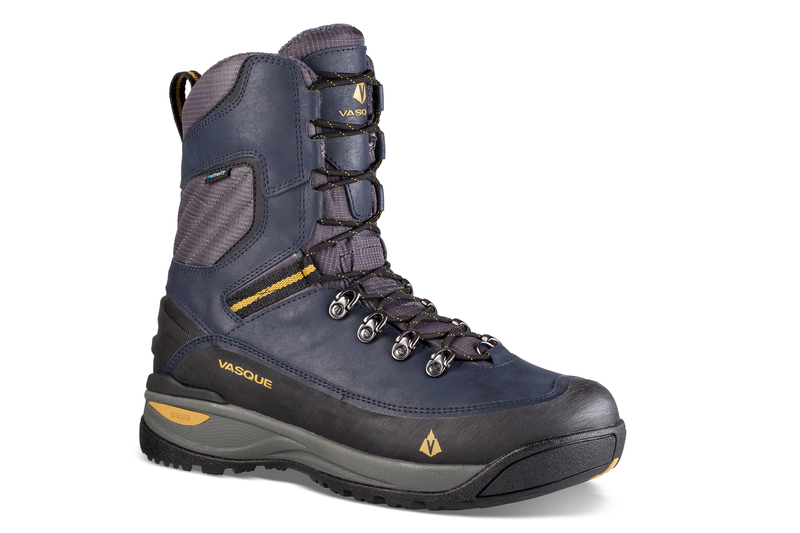 Whether hiking through the snow or battling icy conditions, these winter hiking boots will get you there and back. Blending waterproof leather with synthetic insulation, the Summit County boots are the warmest in KEEN’s lineup. We tested KEEN’s Summit County during an epic three-day elk hunt in knee-deep snow and single digits. 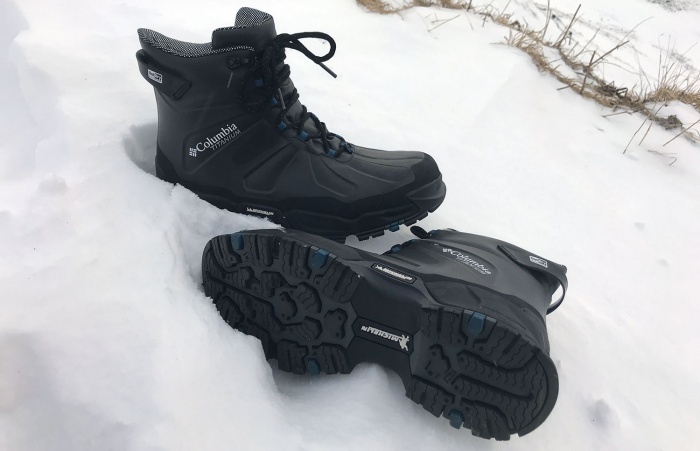 We found them to be light for their performance at 27.5 ounces each, comfortable, and warm even after snow accidentally slipped inside the boot. To say we were impressed would be an understatement. We found this one fits true to size and accommodates a wide foot well. Looking to snowshoe in for the weekend or winter hike the local mountain? Well, the Snowburban boot can get you there. 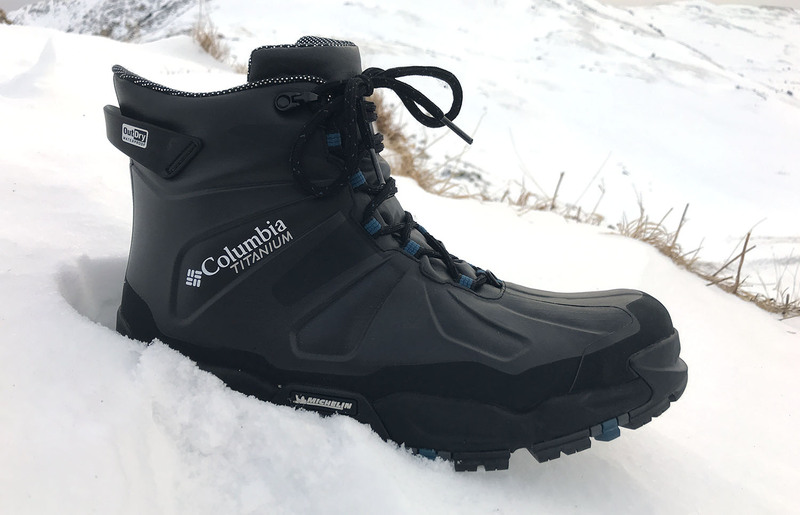 The rubber sole is built to provide maximum traction in the cold, and the 400-g Thinsulate insulation will keep you plenty warm without adding extra weight. Plus, we like that it comes ready for deep snow with a gaiter D-ring attachment point. Get ready to tackle the biggest drifts in comfort. This boot gives a lot of bang for the buck. The temperature-sensitive lugs will keep you from slipping on ice, and the waterproof construction seals out snow and rain. These seem to run small, so we recommend going up a half-size. Yes, Crispi boots are expensive. But for those who do big miles off trail in rough terrain in the winter, they are worth the investment. 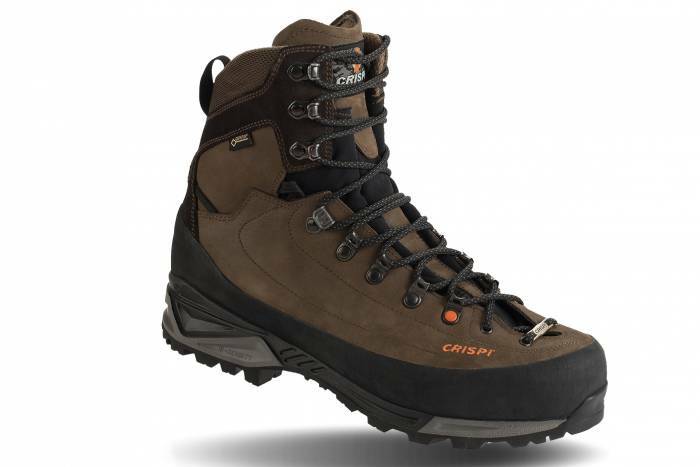 Crispi is an Italian manufacturer that focuses on hunting boots. And for those who haven’t chased elk through the mountains, there’s nothing outside of full-on mountaineering that tests footwear like hunting. And Crispis have proven themselves in the roughest terrain and cold weather. 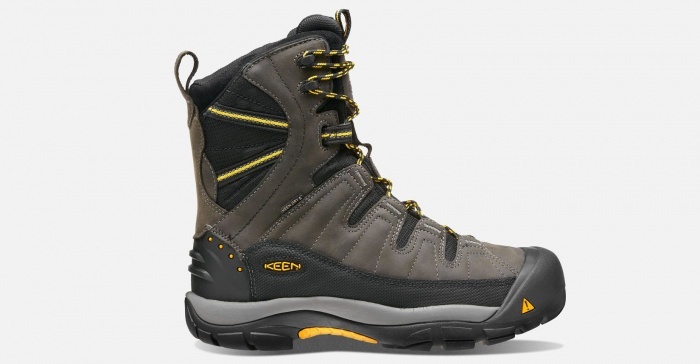 Meant for mountain exploration in winter, those who want a pair of boots that will stand up to cold, wet, off-trail terrain should start their search here. 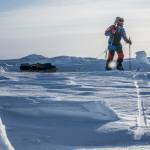 The Briksdal GTX is a stiff model on a board last. It has a Gore-Tex insulated lining. A protective rubber rand guards toes from bashing rocks. Its heavy Nubuck leather upper provides durability against abrasive contact, and the Vibram sole will grab earth, rock, and snow for traction. Whether hitting the local coffee shop, walking to the office, or heading out for a winter date, sometimes you want a boot that is as stylish as it is functional. These boots will keep you looking good all winter long. Proving good things happen when great brands team up, this collaboration from Danner and United By Blue will keep your feet dry, warm, and stylin’ all at once. 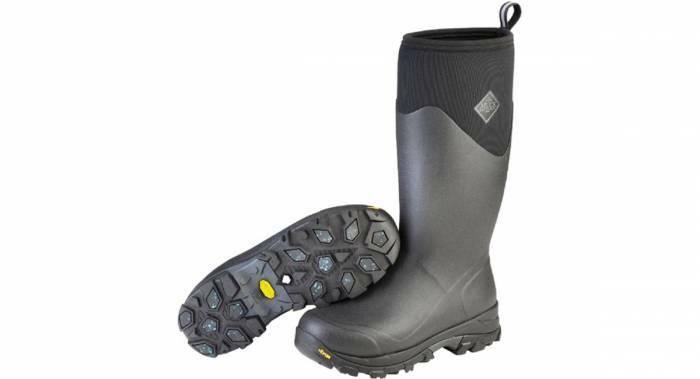 The Gore-Tex membrane provides waterproof protection while the fiberglass shanks provide support for your feet. Made in the USA of premium bison leather, these boots will last for many winters to come. Toeing the line between sneaker and boot, the Barkley could become your favorite winter shoe. 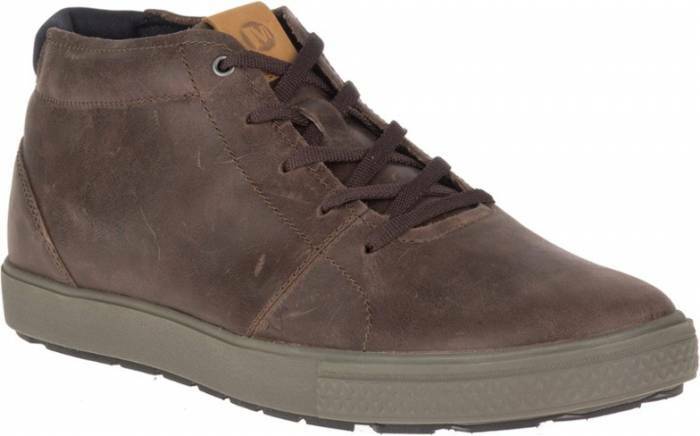 The full-grain leather upper provides a dash of style and plenty of weather protection. And the grippy outsole provides plenty of traction and an impressive level of comfort. 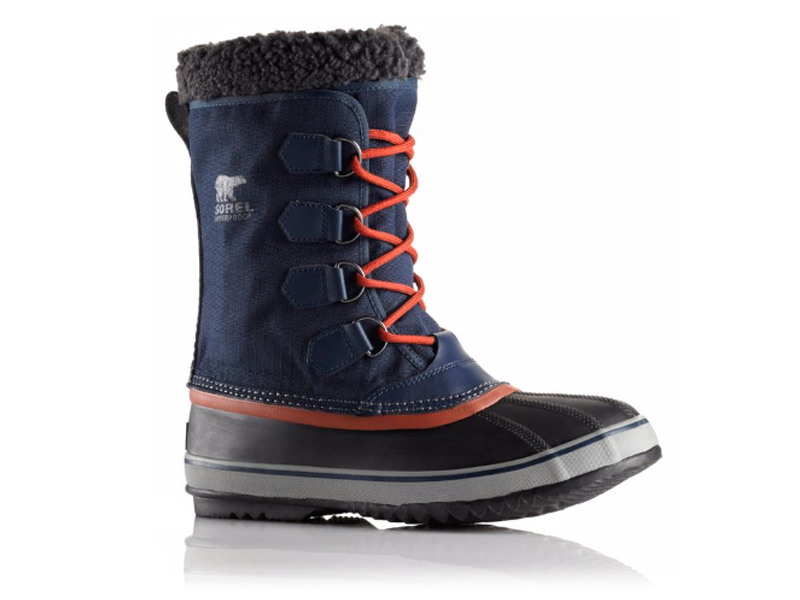 The lower height makes these a better choice for less-snowy locales. But if you want something that could make it from trailhead to tavern without a hitch, the Barkley is your boot. Handcrafted in the USA, Redwing is no stranger to making boots that last. And this slip-on style is no exception. We appreciate how they mold to your feet after several wears and fit true to size. The Weekender is an all-around solid boot that we’ll happily wear any day of the week. In many places — I’m looking at you, Washington and Oregon — winter means rain. And lots of it. For anyone spending the winter dodging puddles and slopping through the mud, these winter rain boots will keep you warm, comfy, and, most importantly, dry. 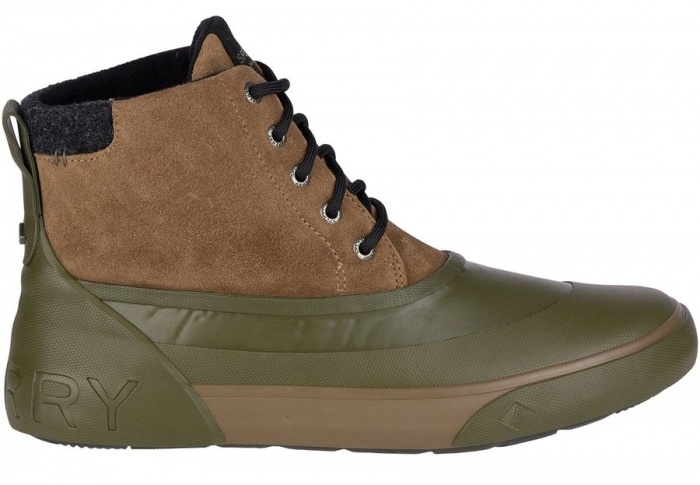 If you live in the Pacific Northwest and the forecast shows cloud cover and drizzling (again), then Sperry’s Cutwater Deck Boot might be the one for you. With its sneaker design and weatherproof materials, the Cutwater makes the functional transition from hanging at the house to a fashionable appearance at the office. The love child of a sneaker and a classic duck boot, this boot from Forsake offers top-notch waterproof protection and all-day comfort. Plus, the moisture-wicking lining has an antimicrobial finish to keep your feet fresh from sunup to sundown. If there was a “state boot” of Alaska, it would be the Xtratuf. 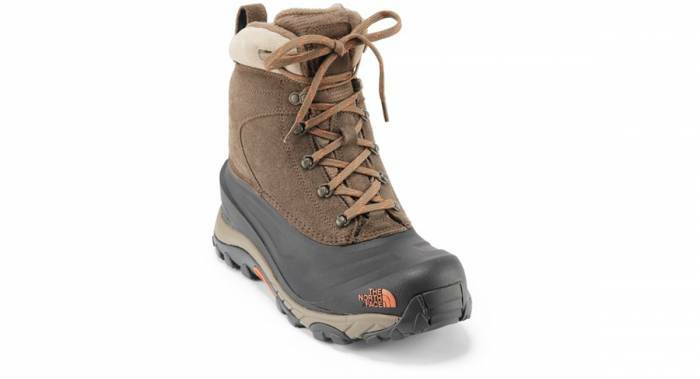 There are many models of this rugged, all-around slop boot, but the Legacy 15-inch is certainly one of the most popular (read the full Legacy review here). 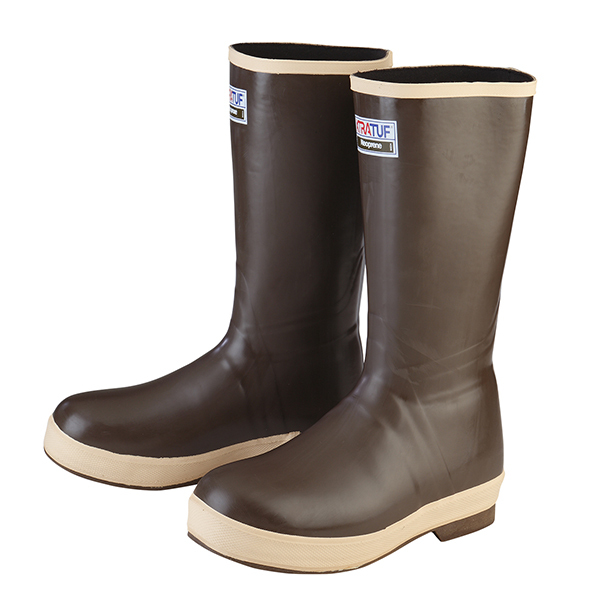 These neoprene boots are a staple aboard fishing boats and anywhere waterproof, nonslip, tough boots are needed. Xtratuf makes several models. We’ve used the thin neoprene Legacy a ton and love it for moderate weather, where they rule in rain and slop. If temps drop low, you may want to look at the Legacy Insulated 2.0. When the drifts pile up and the temperature drops, it’s time for a full-on snow boot. With height to keep the snow out and insulation to keep toes warm, these snow boots get the job done. Embracing the old adage “if it ain’t broke, don’t fix it,” Sorel reached into the archives to bring back its classic color palette with the 1964 Pac Boot. The nylon-sheathed ’64 embodies Sorel’s traditional lines but with modern utility — whether you’re marching miles at a winter carnival or behind the snowblower in temperatures down to -40 degrees F.
Is winter turning your driveway into an ice skating rink? Have chores to do in the frozen wonderland? Then let me introduce you to the Arctic Ice Boot. The 8 mm of foam and fleece lining makes them plenty warm, with an impressive -60-degree F comfort rating. Most importantly, though, the Vibram Arctic Grip outsoles provide unmatched traction in icy conditions. 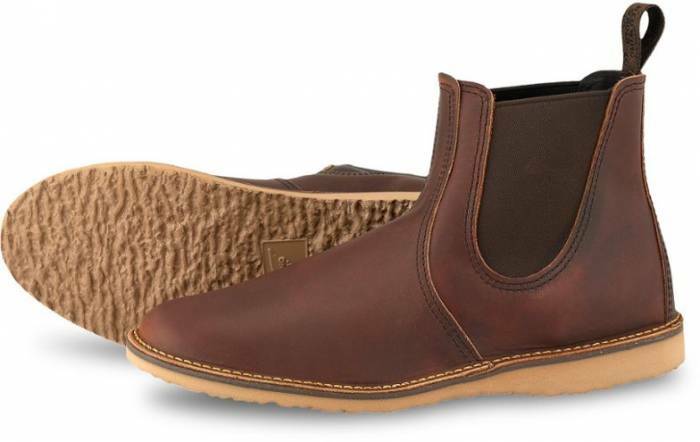 Whether mucking stalls or tromping around town through snow and ice, this boot is a winner. If burly is what you’re after, the Canuk delivers. Made with 600-g insulation and thermal lining, these boots will keep you comfortable down to -65 degrees F. And Michelin’s Ice Control technology in the outsole provides a firm grip even in the iciest of conditions. 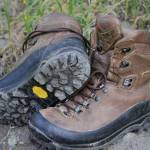 You’ll need to pair them with some gaiters if you plan to tromp through deep snow. But in cold, icy conditions, this is a go-to boot. We’ve put these through some early testing high on Loveland Pass in the Rockies. Running through autumn snow and tromping over rocks and ice, they feel remarkably light. 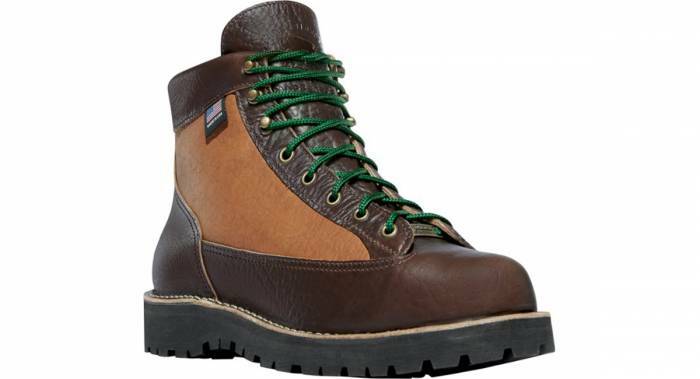 They grip the ground wonderfully and are an amazing contender as an all-around winter boot. This isn’t even Baffin’s warmest boot. That honor goes to Baffin’s Polar series (rated to a preposterous -148 degrees F). Still, rated to -90 degrees F, Baffin’s Icebreaker is plenty warm to fend off the screaming yowies anywhere on Earth. Insulated with a proprietary “arctic rubber” and a multilayer inner boot, Baffin constructs the Icebreaker to trap heat and reflect the cold. Bonus: The extendable, waterproof snow collar protects blowing snow from funneling in the cold. Have a favorite winter boot we missed? Let us know and we’ll check it out for future updates. Looking for women’s winter boots? Check this out.